The last poll update includes the first poll I put together. It is regarding Microsoft’s Edge server role, how it’s used, and where it sits on the network. The majority of your peers think this thing still needs to be tested and before it’s proven needs to reside behind some other appliance within your corporate infrastructure. I guess that is part of why everyone things the hosted solutions are such a viable option. There has been much debate and many new reports about hosted eMail services lately. A lot of this is due to the increase in SPAM, regulations, and viruses traversing the internet. MS has commissioned a paper on the benefits of hosted solutions over in-house messaging management…. 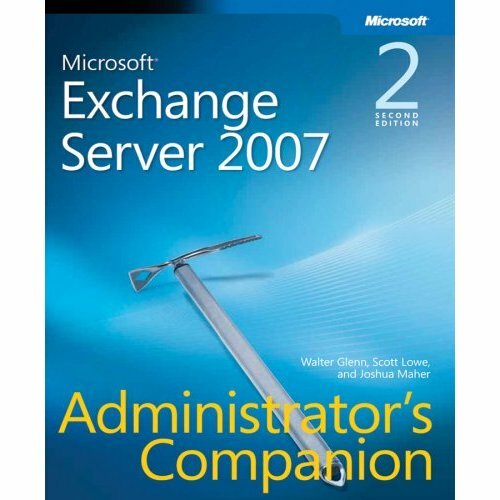 David Spark asked me to look at this paper on Microsoft Exchange Hosted Services. From the looks of it, the same ask has been making the rounds to Terry Zink and Alec Saunders….but there aren’t very many opinions expressed on the wiki or the discussion group…I started to input my thoughts on the subject and the absense of supporting research….. The paper itself seems to be based on Osterman Research work and there are some interesting research points that simply aren’t supportive of the claims in the paper. Some of the issues are…..
Now I’m sure there is plenty of data to support and refute the six items above in the context of hosted messaging services (especially in the case of the Microsoft Exchange Hosted Services)…..but they are not included in the paper and there is an opportunity to include them for people to see….. So if you have an interest in hosted messaging components, you might want to take a look and ensure there is a consise opinion on the wiki fro the community (and other vendors) at large. If you don’t have the time to comment, at least go vote on the hosting poll….